New Long Beach teachers attend TALB’s 2017 new-teacher orientation to learn about benefits of TALB membership. TALB is the exclusive bargaining representative for all certificated employees. Your employment contract with the district is also known as the Collective Bargaining Agreement. Make certain you have a copy of the current negotiated agreement. If you need a copy, visit our web site at www.talb.org or ask your school site secretary. It is your responsibility to know the contents of your contract! Even fair-minded persons can honestly disagree over the meaning of a contract or personnel policy. For that reason, a grievance procedure is an integral part of the negotiated agreement. A grievance is an orderly procedure with specific timelines that follows the district chain of command. Our current grievance procedure ends with the final decision decided by an impartial arbitrator. This concept known as binding arbitration of grievance ensures a fair hearing. In all employment situations there are certain rules which the employees are expected to follow. Familiarize yourself with your faculty handbook, certificated personnel policies, and your contract. Many valid grievances have been lost because the teacher involved let important timelines slip by. Remember, you have only 20 working days after a grievance incident to begin the process. This concept extends even beyond the contract. In the past, there have been several teachers who had to pay back hundreds of dollars in overpayment. Many others jeopardized valuable insurance plans. Always check your pay stub for accuracy. Even if it is “the District’s fault,” you are not relieved from an obligation to return unearned pay. As a union member, you have some very specific rights when it comes to meeting with management. These rights are called your “Weingarten Rights” and are Supreme Court Case Law (NLRB v. J. Weingarten, Inc., 420 U.S. 251 ). It is CRUCIAL that you know these rights, because your administrator is under no obligation to inform you of them! 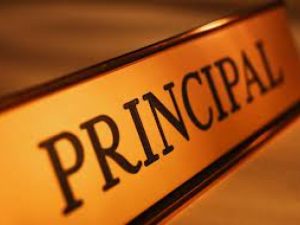 You should invoke your Weingarten Rights if you are meeting with an administrator and the discussion/questions turn toward your performance or conduct and you have reasonable belief that anything you might say may result in disciplinary action, a poor evaluation, transfer or dismissal. In this sort of situation, you have the right to stop the meeting and ask for a TALB Representative of YOUR CHOOSING to advocate for you. 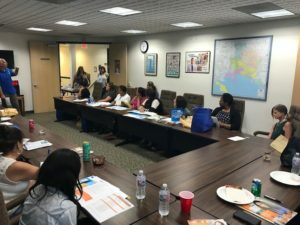 (TALB trains several such advocates every year. Please contact your Association Representative, TALB Board Member or the TALB office for a list of names). You do not need to have this memorized word-for-word. She/he can stop the questioning until your TALB Representative arrives. She/he can call off the interview. Once your TALB Representative is in the meeting with you, she or he may assist on your behalf and advocate for you in several ways. Click here to read more important information about your Weingarten Rights. A teacher’s first protection is his/her contract, which defines the terms and conditions of his/her employment. TALB negotiated the contract with the district and we diligently seek to improve and enforce that contract. The main enforcement tool is the grievance procedure. 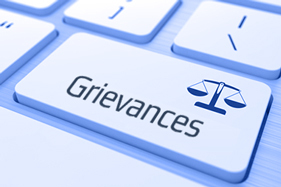 A grievance is a complaint based on the misinterpretation, misapplication or violation of the contract (intended or unintended). A grievance is not meant to harass, nor is it a means to “get” anyone. Conversely, because the grievance procedure is part of our contractual agreement with the District, it is a legally protected activity, which shields the grievants from any reprisals because a grievance was filed. TALB offers Association representation in the processing of grievances for all members. Any teacher who feels that he/she might have a grievance should talk to his/her site representative immediately. If your site does not have a representative, contact the TALB office for assistance. A teacher’s second protection is the Education Code, which is the state law and provides the parameters under which the District must work. TALB/CTA/NEA offers advice, consultation and representation when needed to its members for enforcement of Education Code provisions. TALB and LBUSD have a formal complaint process. This is to be used when there is not a violation of the contract, but a teacher’s rights are still being violated. Call the TALB office for assistance. When a member is threatened with dismissal or has a legitimate grievance, a crucial problem may arise if the member has thrown away many of the documents, notes and other communications which later prove to be of real value. Of special importance are all of those notes from the principal. They may be printed for general distribution or personal notes, however informal. Some may be a simple “thank you” for some job you did. You never know when you may have a conflict with the administration. Past individual salary notices for both extra-curricular and regular positions should be kept. Appointment letters, notices of amount of sick leave, etc., may later turn out to be important. 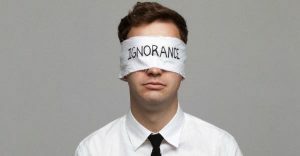 When sending or receiving emails to/from your principal or district office staff, always blind copy (BCC) your personal email account so you have a record of all correspondences. Your personal records should also include copies of transcripts, teaching certificates/credentials, past evaluations and all records pertaining to retirement. 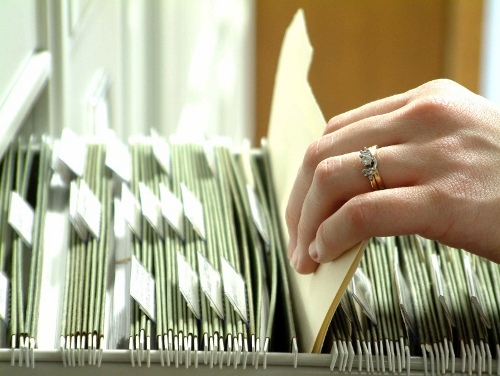 In addition to keeping your personal records updated, you should also inform yourself of the content in your personnel file. The District maintains such a file for each teacher. This is the only official depository for all written communications from the employer concerning your employment. Exercise your right to access your file by making an appointment to look at its contents. You have the right to respond to adverse documents contained therein.